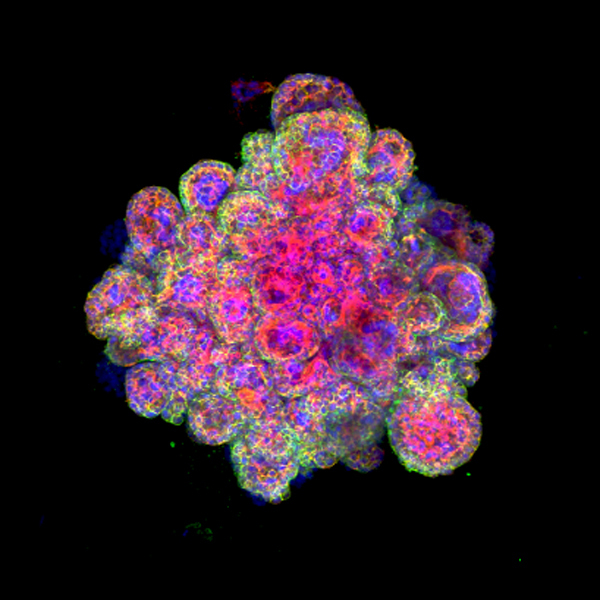 In the past few years, a new field of research has blossomed that uses these organoids – often referred to as ‘mini-organs’ – enabling insights into human biology and disease. At the University of Cambridge, one of the world leaders in organoid research, scientists are using organoid cultures to grow everything from ‘mini-brains’ to ‘mini-livers’ to ‘mini-lungs’ . Professor Moffett also co-directed a recent study published in Nature that used genomics and bioinformatics approaches to map over 70,000 single cells at the junction of the uterus and placenta . This study revealed how the cells talk to each other to modify the immune response and enable the pregnancy, presenting new and unexpected cell states in the uterus and placenta, and showing which genes are switched on in each cell.